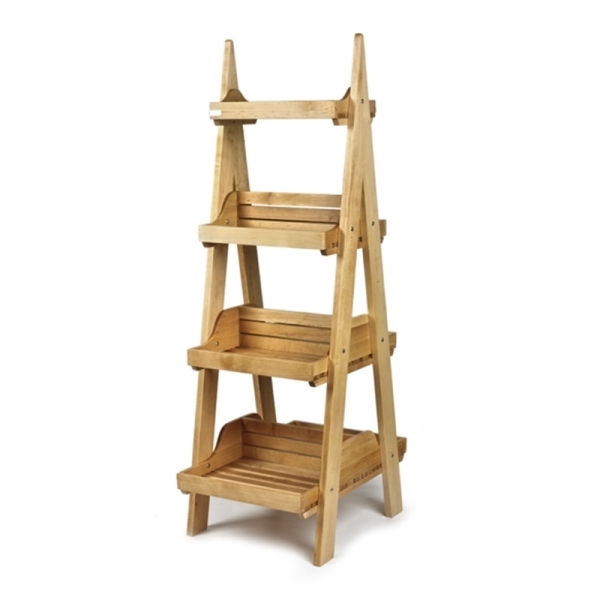 This great natural finished wooden display stand has 4 tiers and is double sided to maximise product display space. Height 156cm. Width 50cm. Depth 74cm. Your item will be delivered within 5-7 working days. Also available in dark wood finish.